I hope you guys are doing good. I have been pretty exhausted these days and a lot of things has been going on in my mind. Let's break it down shall we? I just need some self-reassurance to keep my feet on the ground. Work has been awesome and I am enjoying every bit of it. I am not kidding. Being where I am now is probably one of the best thing that has ever happened to me and I have to thank divine providence for that. It is thrilling to be in the office each day doing the things that I like to do. No complains because I love the challenges. There are so many priorities at work. The best part, this job works like being shopper. Like literally, my job is to spend - for all the good causes! This year's fasting month is pretty unique because it's not everyday I am home for break fast. And this year my family and I broke the no-rice-during-break-fast record. We are very occupied. Hence we can't really get together except on weekends. However, I am grateful as most days, I am able to break fast with one of my best friends! Too bad we don't have our other two companions to dine with. Better one than none they say. Pretty grateful that I'm given the strength to face each day with perseverance. On 1st August last week marks the one year I am serving the nation and there's few more months to go before I depart, carrying away nothing but experience. 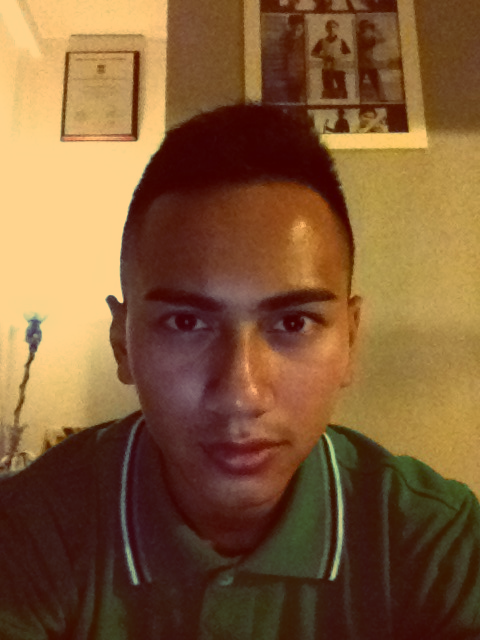 Do look up to this blog on my NS (National Service) life story if you're interested. How in two years I have grown from a recruit, to cadet and now landed on an appointment which I never expected. This post is written to remind myself of what happened in my journey going through a phase like any other Singaporean son. National Day is coming up. What are your plans? Grah, currently I am madly in love with my BlackBerry and iPad and it seems like I can't live without them. They are so convenient especially in busy times like this. I am so grateful for them. I just found out one of my friends lost his iPad? Scary much, just hope I won't lost mine because I'd be devastated. These things are just God sent. Better yet, Yak Pak is so full of stuffs I had no space for my books and iPad just made that easier. You have no idea how much iBook helps in lightening my load. Better yet, I get to bring them on bed to read them, in the dark! To hell those traditional books that needs lighting. At least now I can read in the dark under the sheets. It's a bliss I had to type it out here. And on my busy days... My BlackBerry. Speechless. I think I lost weight due to fasting month. Does any of you feel the same way? My skinny jeans are no longer that skinny, which calls for a skinnier jeans (if there's such a word), and my S and XS clothes seems to have loosen up. I really got to hit the gym and start pumping and get back on shape. Otherwise I will probably be rampaged by the entire population should I take the train again. By the way, happy birthday S! I am pretty much on hiatus these days I am proud of myself for coming up with such an update. See you!